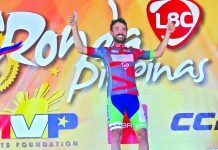 TOUR de France veteran Francisco Mancebo Perez of Spain drew first blood as he ruled the Stage One of the LBC Ronda Pilipinas 2019 on Friday that started at the Iloilo City Hall and ended at the Megaworld Festive Walk Mall. 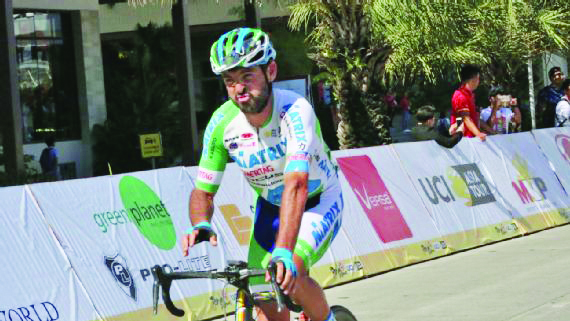 The 42-year-old Perez, representing Matrix Powertag Japan and a fourth placer in 2006 Tour de France, defied Father Time in topping the 197.6-kilometer stage in five hours and 7.02 minutes. 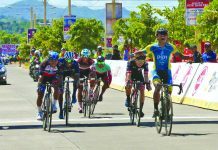 Defending champion Ronald Oranza of the Navy-Standard Insurance finished second, while Dominic Perez of 7Eleven Cliqq-Air21 by Roadbike Philippines lands at third place. “For the moment, I’m happy with the victory. 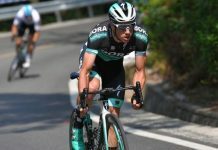 For us, it’s good and we’ll see what happens in the race,” said Perez, whose last significant victories came in the Tour of Egypt five years ago. 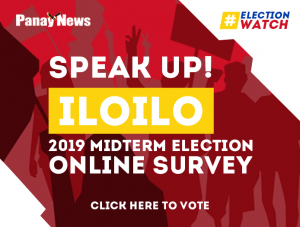 Jan Paul Morales, a two-time Ronda Pilipinas champion, finished at fourth place while Perez’s teammate Junya Sano and Joo Daeyeong of Team Korail Korea occupied the fifth and sixth spot. Rounding the top 10 were Filipinos Irish Valenzuela of 7-Eleven , Mark Julius Bordeos of Philippine Army-Bicycology, Rustom Lim of 7-Eleven and Ismael Grospe of Go for Gold. Due to Perez’s impressive performance, Matrix took the early team lead with a total time of 15:32:36, or 3:07 ahead of No. 2 7-Eleven and 3:57 faster than No. 3 Navy-Standard Insurance.